In a mixing bowl, combine the sweet potatoes, butter, egg yolks, brown sugar, salt, ginger, cinnamon, nutmeg and evaporated milk. Mix together well. Beat egg whites until stiff peaks form; add 1/4 cup sugar and fold into sweet potato mixture. 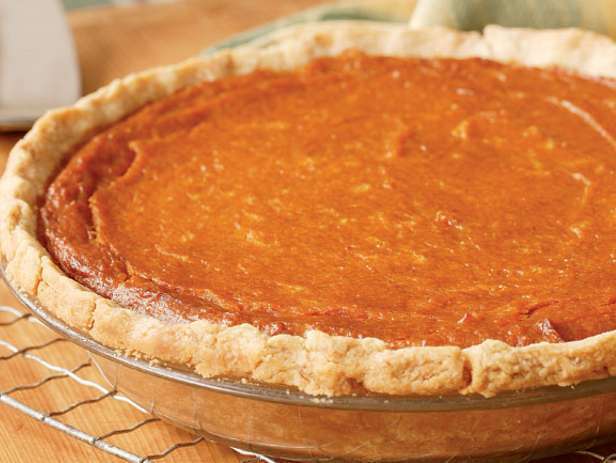 Pour into pie shell and bake at 400 degrees F (200 degrees C) for 10 minutes. Reduce heat and bake at 350 degrees F (175 degrees C) for 30 minutes or until firm.